THE ASHES OF JEDHA! The Rebel Alliance turns its attention to the shattered planet of Jedha! Once the site of great significance to the Jedi, Jedha was left in ruins when the Death Star annihilated the Holy City there. Now, new series writer Kieron Gillen joins artist Salvador Larroca to bring Luke, Leia, Han, and the rest to the remains of the tragic victim of the Empire’s fury! Part 2 of The Ashes of Jedha story. As always you were warned and this opinion may or may not contain spoilers for you if you plan on reading the comic. 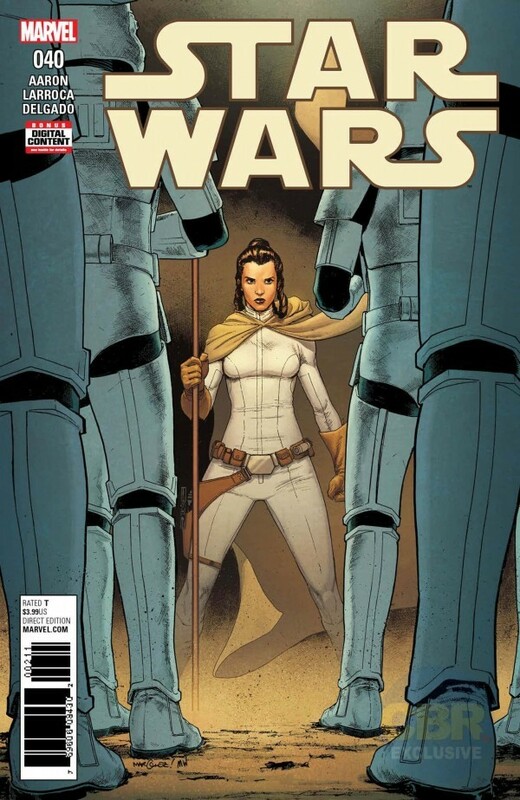 Issue #39 of Star Wars is the second part of The Ashes of Jedha story. Now I mentioned in my Part 1 review that the story was starting off slow and I was not a big fan of the artwork in this story. I stick to the fact that I am not a fan of the way they are applying character’s faces in this series and I really feel like it takes away from the other artwork in the pages. I find myself distracted by my discontent with the way the faces look and missing some of the other images on the pages. I will however say that the story itself has picked up and is getting more interested. There is a lot of unnecessary chatter in the first half of the issue that takes up a lot of space with their overly large frames. I mean we get it the Partisans aren’t a big help of outsiders and have trust issues. 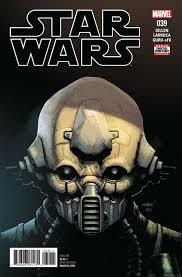 It is nice to see some of the other characters taking a more forward role in the comic than what we got to see during the Rogue One movie but we would expect this due to Saw Gerrera death in the movie. I really feel like we should have gotten more in the movie in reference to the other members of the Partisans, but that’s not what this article is about. The second half of the issue picks up with some action and by the end we are left wondering what the Empire has up their sleeve. By the end of this issue I’m excited to see what the next issue has in store. Overall I give this issue a 6/10. If they can continue to move forward with story the way they are I think I will continuing to enjoy this story. I imagine the way they are doing the artwork will continue in this story as I do not see them switching up artist in the middle of the series. We shall see what is in store for us when the next issue hits the shelves Dec 13th!